The repeal of Net Neutrality – is America okay? It’s not exactly new information that since Donald Trump became the 45th President of the United States, America hasn’t really improved as a nation, despite Trump’s presidential campaign slogan ‘make American great again.’ The majority of the decisions he’s made since winning the election has outraged most of the country, like his decision to ban transgender troops, or the travel ban he enforced just one week after his inauguration. However, the most recent nation-wide dilemma, – the plan to repeal Obama-era net neutrality protections – even has Trump supporters up in arms, probably because this is the first major decision under Trump’s rule that is actually going to affect all of them. Net neutrality demands that all Internet Service Providers (ISPs) should treat all web traffic the same, and should enable access to all content and applications, regardless of the source, and without favouring or blocking specific products or websites. Without net neutrality, ISPs will no longer have to treat all internet traffic equally, and will be able to favour certain websites and services over others. Think of Internet traffic like actual traffic, without net neutrality, ISPs like BT and Verizon can develop literal fast and slow lanes. 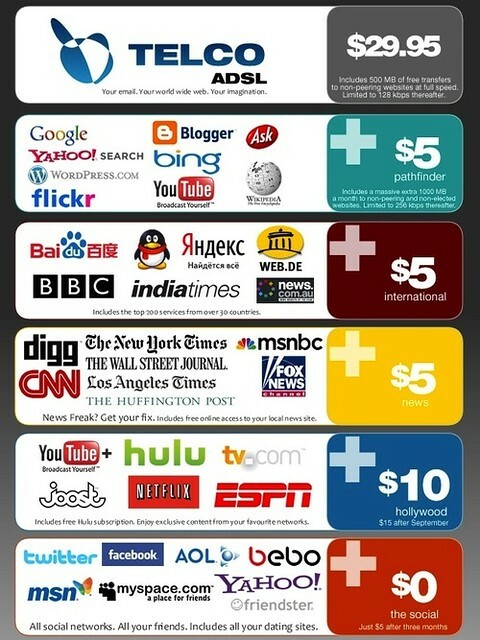 One certain ISP could have the power to slow down its competitors’ content, or block specific political opinions or beliefs that it disagrees with, and in turn could charge extra fees to the very few content companies that could afford to pay for special treatment, which will degrade everyone else to a slower tier of service. The repeal of net neutrality would destroy the open internet. On Thursday 14th December 2017, Trump’s Republican-led Federal Communications Commission voted 3-2 to approve this controversial plan of repealing net-neutrality. Of course, no one, other than the FCC know what this repeal of net neutrality actually means for users of the Internet, although some people have made their predictions. The most likely of outcomes, is that the prices the public pay for their Internet will go up, but variety and diversity of accessible web pages will go down and the largest, most well-known of Internet companies will gain a significant advantage over small, upstart companies. As a consumer, the end of net neutrality means your most-used and favourite websites are going to load a lot more slowly, and some of your favourite content may just go away, because your provider can’t pay the fee. The consumer will no longer be in control, the ISP will start to pick the winners and losers instead of the Internet user themselves. But that’s not all. Under the new rules, ISPs won’t just be free to charge more for faster access, they’ll be completely free to simply block access to whatever part of the Internet they feel serves their financial interest. Comcast, for example, may decide that it makes no sense to allow Netflix to compete with its own streaming service and stop allowing its users access to the site. Right now, it seems to be the end of the Internet as Americans know it. But a legal effort to overturn the decision made by Trump’s FCC is expected to begin immediately. Congress has the power to pass legislation to restore net neutrality, and this could mean greater turn out in the 2018 midterm elections from millennials who care deeply about this issue. Around 18 states also plan on suing the FCC in order to defend net neutrality protections, including New York, California, North Carolina and Virginia.